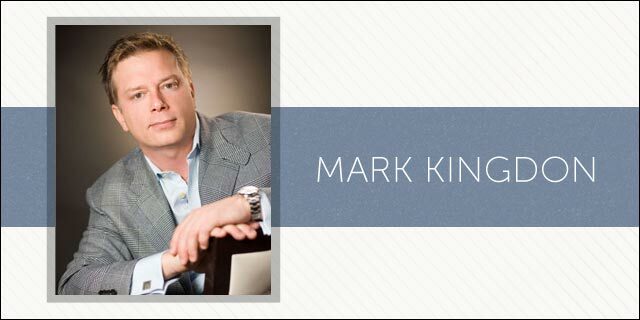 Mark Kingdon has been an investor in San Francisco and New York since 2005. He is the founder of Quixotic Ventures, who recently relocated to Miami lured by the growing tech ecosystem and unique lifestyle. Kingdon has invested in tech’s most notable companies, such as Twitter, Refinery29, Fab.com, OfferUp, TheRealReal.com, and Rally.org, among others. As an investor, he focuses on consumer Internet (digital media, social media, ecommerce) as well as B2B products (ad tech and enabling tools for social media and ecommerce). After he left his position as CEO of Second Life in 2010, he became a full-time investor and recently started his own firm: Quixotic Ventures. The name, Kingdon explains, comes from his grandmother’s etching by Dali of Don Quixote, and the fact that early-stage investing is definitely a quixotic undertaking. Tech Cocktail: What do you look for when making the decision to invest? What is your process like? Mark Kingdon: I look for “WOW!” – something I feel in my gut. More practically speaking, I look for deeply passionate founders, a highly capable team, and a big and compelling space. Founding teams absolutely must have UX and technical chops. I used to run a big digital agency (Organic, Inc.) that Forrester rated a leader in user-centered design and I’m very picky about UX. UX is THE key driver of adoption in breakout consumer-focused startups – look at Uber, Square, Fab.com. I’m the sole decision maker, so my process is pretty simple. There are no deal memos or Monday morning partner meetings. About 70% of the roughly 20 companies in my portfolio came as referrals from people I know – former employees, VCs, fellow angel investors. When I see something I can’t stop thinking about (like Twitter shortly after it launched, and TheRealReal.com more recently), I reach out to the founders and pitch myself to them. With TheRealReal.com, I found it on AngelList, met Julie Wainright for breakfast, fell instantly in love, visited her tiny warehouse the day after, and wrote a check a week later. Once I have an opportunity in my sights, I visit the team, hear the pitch, evaluate the product, do my due diligence, and make a decision. I try to do it as quickly as possible. For first-time entrepreneurs, it’s challenging to find data points. In the case of NiftyThrifty, I had lunch with the founder’s father to make sure Topper [Luciani] wasn’t a total reprobate. His dad sealed the deal for me. Tech Cocktail: What is typically your bite size? Does this change depending on where the company is based? Mark Kingdon: My investments range from $50,000 to $250,000, although most are in the $50,000-$75,000 range. Sometimes I do follow-on investments and take advisory or board roles. The amount isn’t geography-dependent. In fact, all but one of my recent investments have been outside of SF/NY in “untraditional” venture markets – Seattle (OfferUp), New Haven (NiftyThrifty), Santa Barbara (SnapWire), Edmonton (Granify), Miami (SKTCHY), and they’ve all been “standard” deals for me. Tech Cocktail: When was the last time you made an investment? Mark Kingdon: A few weeks ago, I invested in SKTCHY – here in Miami – which I am really excited about. Download SKTCHY in the Apple store. Share a photo and inspire an artist. It’s an awesome app that was born in the Design District. A user said it’s Instagram for art. I’m in the final stages of due diligence on another Miami investment and will likely close in the next two weeks. Tech Cocktail: Why did you decide to move to Miami? What are some of your expectations as an investor? Mark Kingdon: Last winter in New York was brutal and that decided it for me. Miami is an early-stage city tech-wise and I like to get in on the ground floor. I think Miami has tremendous potential as a tech center. There’s a great group of “catalysts” like The Knight Foundation working hard to foster a startup culture. There’s extraordinary wealth here (i.e., potential capital for startups). It’s a very livable city and certainly more affordable than SF or NYC. You can’t beat the weather. There’s a lot of talent here and more coming. The art and design community is thriving. It’s a gateway to Latin America. All the ingredients are here. I expect the same here that I’d expect anywhere – smart founding teams and great companies. And the good news is that I’m seeing them! Tech Cocktail: Do you think there is an advantage for startups in cities like San Francisco and New York for attracting investors in comparison to, say, startups in Miami? Does location matter? Mark Kingdon: Listen, getting funding – especially Series A and beyond – is super challenging no matter where you are. Sure, it’s more convenient to be near the big VCs, but it’s not a necessity. Not anymore. That being said, Miami is a very convenient market for East Coast investors. Who wouldn’t want to buzz down for a January board meeting when it’s -10 degrees at home? Seriously. Tech Cocktail: If you had one superpower, what would it be and why? Mark Kingdon: My superpower would be X-ray vision. Seeing inside things, seeing below the surface.